FrankenFoodFacts: Review of "GMO Dangers: The Facts You Need to Know"
When Latham says, "I left science", that is the most true thing he said, in more ways than one. That is great! I loved that quote too. What a fantabulous post this has been. . I am grateful to you and expect more number of posts like these. Thank you very much. They're stacked with scientists who don't necessarily know anything about GMOs, but, like many here (apparently) support them for various non-scientific reasons. 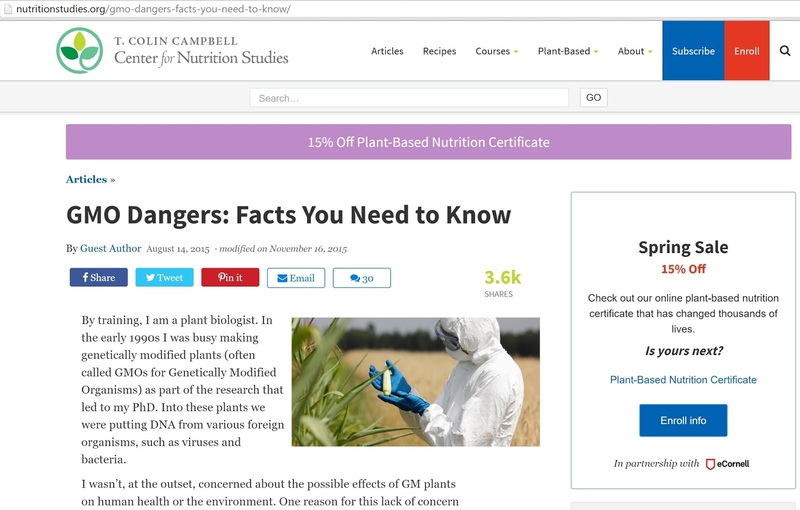 So the National Academies, the Royal Academy, the European Food Safety Authority, the German Academy, Australian, New Zealand, Canadian, and dozens of others, all established panels to review data on the safety of genetically modified crops and stacked these panels with scientists who don't know anything about GMOs? Is that genuinely what you believe? Science by association? DDT was also furiously defended, and some still defend it. Perhaps over the course of time we could discuss a post of yours on Biofortified. It's no longer open for comment, but I found some problems with your support for your assertions on the post "deathmatch"